The cascading pressure reactor is a kW-sized test device, intended for two‑step hydrogen production, using simulated solar heat. Thermal reduction (TR) and water splitting (WS) in the reactor can be conducted under a wide range of relevant and realistic conditions, such as TR pressure (~10Pa) and temperature (1550 °C), WS temperature and steam flow, and many others. As a result, the performance of H2-production materials (oxides) can be comprehensively evaluated. The reactor uses a simulated solar flux, enabling continuous operation, material durability testing, and accelerated aging protocols. The upper bound for thermal power input of the current reactor design is ~20kW. The reactor is a unique capability within the National Labs system. It enables performance evaluation of reactive materials for solar thermochemical hydrogen production, in a working reactor, under real world conditions. The reactor is located at the National Solar Thermal Test Facility at Sandia National Laboratories in New Mexico, and available for use with external collaborators. 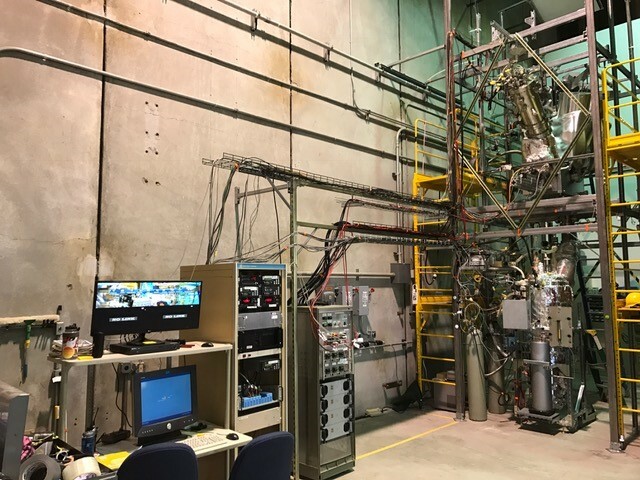 Reactor enables evaluation of reactive materials for solar thermochemical hydrogen production under real world conditions and provides a learning platform for up-scaling technology as well as model validation. 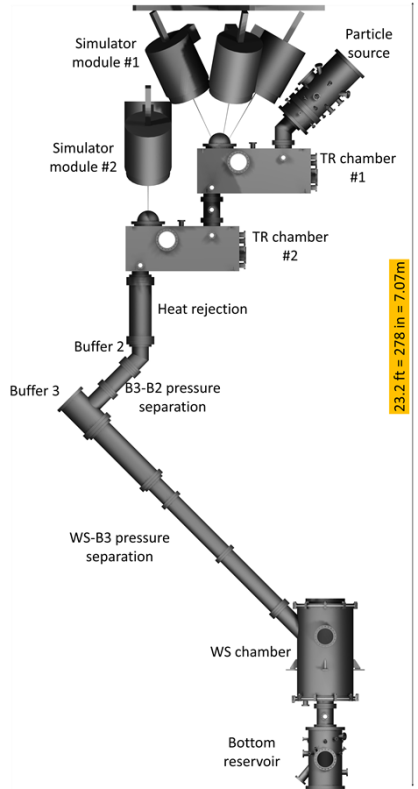 "Cascading Pressure Thermal Reduction for Efficient Solar Fuel Production", I. Ermanoski, International Journal of Hydrogen Energy 39 (2014) 13114. "A New Reactor Concept for Efficient Solar-Thermochemical Fuel Production", I. Ermanoski, N. P. Siegel, and E. B. Stechel, Journal of Solar Energy Engineering 135 (2013) 031002.